You are currently browsing the category archive for the ‘article’ category. Yes, it’s my very first post in a LONG time. Believe, I understand that. These are the first words I’ve written specifically for this blog in months, and that saddens me. However, yesterday I started in a new adventure, and it deserved documentation. I figured, perfect time to make a glorious comeback to my blog, after so many missed words. So, here’s what’s going on: I’m making a video game. Yup, you heard that right. 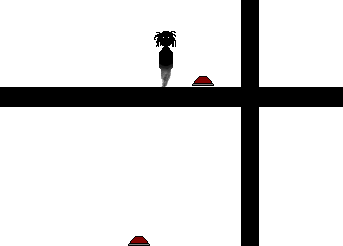 I’m in the very beginning processes of making myself a video game. I’ve got the premise, I’ve got the gameplay styling, and I’ve even designed a few levels. I have a main character and I have one enemy. The game is very rough and will certainly change a lot in the future, however, the game is started, and it can be played, and it does exist. And I will be updating this blog with news and information about how the progress is going as I add more levels and more features. So continue to check back often, as I’ll be working on it quite a bit. It’s my new years resolution to have this game finished and published somewhere before the year’s end. I will make it happen. Steam, Valve digital online platform, is incredibly popular. No, really, at almost any given time, there are over a million gamers playing some sort of game, and it’s usually much higher. There are so many things to love about Steam, whether it be the convenience of having your games available to you whenever you need them, having your saved games follow you around, or simply making it easier to keep in contact with your gamer friends! This, however, is NOT the best thing about Steam. No sir, people flock to Steam like the i on Apple products because of the deals that you can get on games. Steam is known for dropping prices on games to insanely low prices. Every weekend, there is a weekend deal that usually knocks off 50% to 75% off of a range of games. In the middle of the week, they have a feature called “Midweek Madness”, which does another 50% to 75% of a single game. Just recently, they’ve introduced daily deals, which, as you can imagine, cuts the price of a game daily. And this isn’t even counting holidays, where Steam sales just get ludicrous, with hundreds of games on sale for dirt cheap. Digital downloads are becoming more and more popular as the internet speeds increase and as more and more devices can hold tons of games. I, myself, own over a hundred games on Steam (which is probably a bad thing), so whether we like it or not, and regardless of if it’s going to erase physical distribution, digital distribution is here to stay. There is one problem though: Steam is the only one who is doing it correctly. No, no, there are plenty of good places to download games. 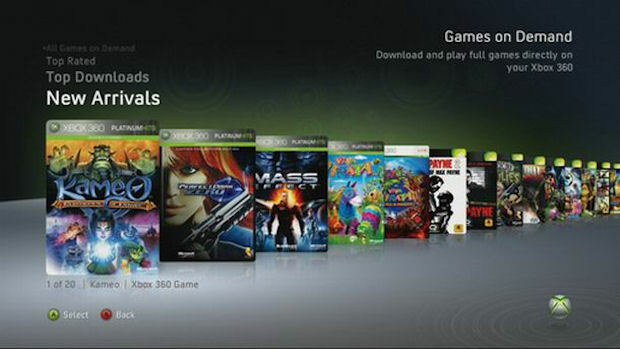 Xbox Live has a very nice collection of downloadable content and games on demand, as does the Playstation Network, Amazon, Direct2Drive and a large number of other online distributors. However, none of them have the insane deals that Steam does, and this is the main problem. Content on other platforms is almost always more expensive than it would be to just buy the physical game used or otherwise. Xbox Live is the worst with this; their games on demand are SO much more expensive than walking into Gamestop and picking a used copy up, but Microsoft will never drop the price because they don’t want the user to feel like they’re getting a steal. And this is pretty common for most downloadable services; physical copies are less costly than digital ones, and that completely defeats the purpose of a digital copy, which is convenience. And yes, before you say anything, a lot of companies are following Steam by making deals as well, however, it’s just not enough. Digital content (specifically of older games) should not cost 100% more than their physical counterparts, yet that’s still where we are at. Until every digital distribution company hits the same stride that Steam has, I don’t see them succeeding well enough to eliminate physical content whatsoever. 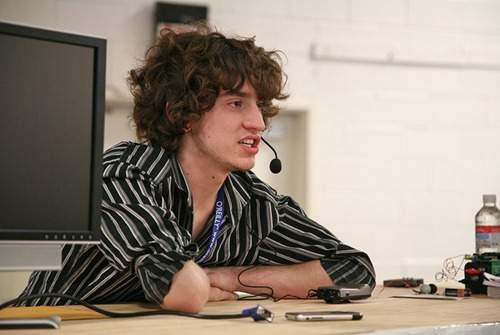 Last night, the news broke that George “Geohot” Hotz, the man who cracked Sony’s Playstation 3 for the first time, settled in court with Sony after a couple months worth of name calling and trash talking. Hotz settled, but now is barred from “unauthorized access to any Sony product under the law”. If he happens to do so and is caught, he would suffer dire consequences. This, obviously, has angered the diligent hacker, and has recently said that he will never buy another Sony product again. I’m tempted to agree with him. The Wii was hacked quite fast from the moment it hit the market. Can you find anyone who can name the person who first hacked the Wii? No, we can’t. He was never remembered (because Nintendo didn’t sue the man) and now it’s super easy to hack the Wii; everyone who wants to do it can easily figure it out. Sony did a very good job keeping their PS3 un-hackable. Last summer, however, there was finally a hole found in the PS3’s security and Hotz exploited it. It was going to happen eventually, and even after all Sony tried to do, just like the PSP, the PS3’s security fell. And I’m ok with that. I applaud Hotz for finally allowing the PS3 to run custom firmware. There are huge advantages for a console to run custom firmware, the best being homebrew. The Wii can do some amazing things with homebrew, and the PSP has a GIANT homebrew society. But no-one seems to realize that there are so many good things to come out of custom firmware; everyone instantly cries “PIRATES, PIRATES” and runs the other direction. Custom firmware does NOT automatically mean that EVERY ONE is going to start to PIRATE games! Yet this is the mindset that everyone has towards custom firmware. We need to abandon the mindset that every single hacker wants free games. There are SO many possibilities for custom firmware on the PS3. The PS3 is an amazingly powerful console, and the possibilities are endless for homebrew. I, for one, will install a custom firmware onto my PS3 as soon as I find some sort of homebrew that makes it worth it. If that means Sony is going to shut down by PSN account, so be it. Screw you, Sony. GeoHotz did something good for the gaming community, and you shut him down. And while I’m not going to protest Sony products, I certainly have a lot less respect for you as a company. Does The 3DS Need Two Screens? Getting my 3DS just a mere week ago, I’ve already fallen in love with the three dimensional, two screened machine. I’ve spend countless hours, late into the night getting destroyed by random strangers at Street Fighter IV and crashing into Mario’s castle in Pilot Wings. Not many experiences compare to the first moment when I turned the 3DS on and saw my little Mii pop up in 3D without those annoying glasses. And as much as I love the little device, I have just one problem: why do we need two screens? In the three games I’ve had the opportunity to play (and all the little apps that come with the 3DS) on the 3DS, none of them use the bottom screen for anything more than menus or… well, nothing. Pilot Wings use it for menus, ones that could be used just as easily on the top screen. Street Fighter IV uses it for special attacks that could very well have been mapped to an actual button instead of one of the four giant buttons on the bottom screen. The Mii Plaza and the Augmented Reality games don’t even do anything with the bottom screen. This begs the question: Why does this system need two screens? 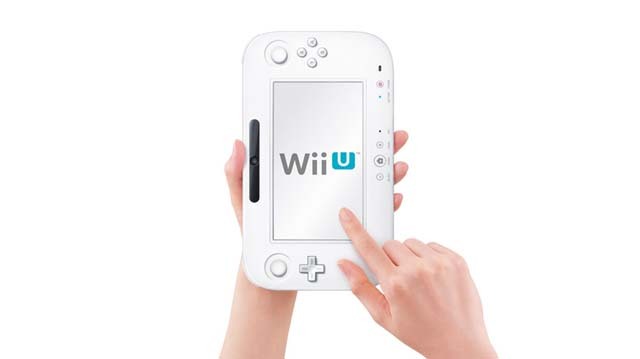 If Nintendo had opted to make the Nintendo 3DS a one-screened, they could have made the system half the size. They could have made the top screen (the important one) bigger and maybe had improved the performance of the device with the extra space. There are many possibilities to how Nintendo, being the creative bunch they are, could have improved their device had they had the extra real estate, and yet they added the extra screen, one that doesn’t even get used… at all. The touch part of the bottom screen is obviously a plus; it makes for some interesting games and features. But why not just make the top screen touch as well (like the NGP). That would solve that simple problem. Not to say that there isn’t a reason to have a bottom screen. Obviously, there wouldn’t be any backwards compatibility if they rid the console of the bottom screen. And of course there are many games (on the original DS) that DO take advantage of the bottom screen. However, do the pros outweigh the cons? Would getting rid of the screen make the console much better, or much worse? I guess we’ll never know, but I have a hunch; from what I’ve seen so far, the bottom screen is not getting used enough for it to validate its existence, so why not just get rid of it? ***Fighting a broken bike, freezing rain and a dark city, at 11:30pm on Saturday the 26th, I rode myself down to my local Walmart to pick myself up Nintendo’s newest console, the 3DS. I’ve had my eye on the console for quite a while now, and after hearing of the games coming soon for the little device, I knew I had to have it. And boy, am I glad I do have it. The. 3D. Works: No, seriously. This is not a gimmick. 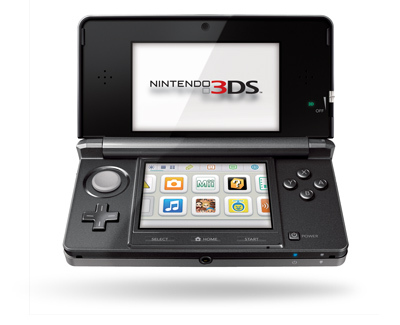 The Nintendo 3DS shows 3D nearly on par with a giant IMAX theater (if an IMAX theater only had a 2 inch screen). The main menu alone is proof enough that the 3D really does work; browsing through the apps that come pre-installed, you can see little Miis and pictures that seem to magically float in and out of space itself without the help of a giant pair of two hundred dollar glasses. When you get in game, it takes a little bit of adjusting to find exactly what works best for you (I had problems focusing when the 3D slider was all the way up), but once you do, it’s just magical. The depth is pretty cool, however, it’s when things get up in your face when minds really start to blow. Flying a plane in Pilot Wings and having the jet stream slap you in your face is just an experience unlike any other. This is real 3D without glasses. Believe it. *** I’ve also, now, had the chance to try out Street Fighter IV 3D on the 3DS. The 3D is hands down better than anything in Pilot Wings. Even on full 3D, my eyes never hurt and it was a perfect combination of background images, foreground images and everything in between. If you have to get a game with your 3DS, GET STREET FIGHTER. The Look: When I pulled the 3DS out of its packaging, I was expecting a LOT more console. What I got was a very sleek, layered look that wasn’t too big or too small. The lights everywhere feel somewhat cool, even if a little unnecessary, and the addition of a dedicated Wi-Fi button is very welcome. The analog nub is worlds above what the PSP has; it actually feels like a controller worthy of a console game instead of a dumbed down handheld version. Over all, the 3DS looks and feels incredibly nice. (However, when you’re using the 3D, you notice EVERY SINGLE LITTLE PIECE OF DUST on the top screen). The Built In Games: The 3DS comes preloaded with all sorts of goodies. The augmented reality cards are just completely mind blowing, and the Street Pass feature sounds like it could be interesting if it catches on. There are some nice features like taking 3D photos and the same music software that was on the DSi. Basically, even without a game, a person could survive for a good, long while on just preloaded apps. The Promises: Nintendo has promised a lot with the 3DS; Ocarina of Time, a new Mario game, Game Boy virtual console games and 3D Netflix are just a few of the bigger announcements. A lot of these promises are not in sight yet, but just the fact that they’re there makes me feel a lot better about owning this console now. The Dock: Plop; my 3DS is charging. No plugging anything in or reaching for cables that have fallen behind the desk ever again. ***Street Pass: Walking through Target today to pick up a new game (actually, my mother was inside and I had to go in to use the restroom), I flipped open my 3DS after a couple of minutes to find that the little green Street Pass light was blinking. Excitedly, I opened the 3DS up to see that I had encountered another 3DS owner! Her name was Gabby, and her little Mii popped up on screen and said “Hi there!” While it wasn’t the most exciting thing in the world, it was pretty cool to think that as I walked through this store with the 3DS closed and in my pocket, it picked up another 3DS closed, and in someone elses pocked and communicated with it. Creepy? Maybe a little. Fun at the same time? Completely. ***The Pedometer: As dumb as this might sound, it’s interesting to see all the steps you’ve taken tallied out onto graphs that you can compare to previous days. You can see specifically when I get up in the morning and when I switch classes during the day just how far I walked (in steps). Small feature, pretty fun. ***The Friends List: While completely lacking right now, Nintendo has created the frame work for an amazing friends list feature. You can add friends just like on the 360 which are listed in a nice flowing chart. The system gives their status (whether or not they’re online and what game they’re playing) along with their favorite game. You can even access all this without leaving game (just press the home button, sending your current game into a frozen state, then you can access your entire home screen). However, right now, besides the “now playing” part, there is no interaction between friends; no messaging of any kind (besides a 16 character limit “phrase). Nintendo is sure to fix this, and when they do, it’s going to be awesome. For now though, it’s completely underwhelming. Ouch: After playing for about four hours on and off again, my eyes are very soar. This may be because it’s not 8am and I haven’t slept yet, but my eyes never hurt this bad, even at this late an hour. Granted, I was playing with the 3D slider more than I would have had I not just picked the console up for the first time, but still, I don’t feel like I could play a game in 3D for very long before really feeling the pain. *** After playing with the 3D effects more and more, I’ve realized that because of how big of an area Pilot Wings has, and how much strain it caused on my eyes sliding the 3D slider back and forth, my eyes were obviously going to hurt. Playing two hours of Street Fighter didn’t hurt my eyes in the slightest, and I was playing in a moving van in the dark. I suppose it still depends on the game and on the users eyes, but so far, after that first initial eye strain, it’s not been NEARLY as bad. The Games: Oh, the games. Quite frankly, this is one of the weaker console launches I’ve ever seen in my lifetime (No, the Gizmondo doesn’t count). No game in the entire line up is a “must have” game, period. You would think Nintendo would start off the life of this brilliant console with a Mario or Zelda or something. But no; we got Nintendogs + Cats. However, like I said, Nintendo is making promises like crazy. Fingers crossed? *** Get Super Street Fighter IV. The Battery: I got the 3DS at midnight. It’s 8am. I’ve charged it twice already. NOT. COOL. *** However, I just spend the entire day out and about with the 3DS, playing games (both 3D and non), using Street Pass and showing people the augmented reality cards. When I sat down back at my desk this evening, it was just about dead. Think about it: how often are you going to be blasting 3D and wi-fi on your 3DS when you’re outside a place where a charger is handily available? Walking around, you’ll probably have wi-fi on, but the 3D off (it’s hard to walk and use the 3D at all), which adds hours to the battery life. The more I think about it, the more I’m realizing that the battery might not be all that bad after all. The 3DS really has impressed me. The 3D effects are just effing amazing considering every human who’s ever seen 3D has had to wear those stupid glasses. And yet, right before our eyes, we’re seeing 3D… without looking like dorks. That, to me, is enough of a justification to own this console. Any game that takes advantage of that is just icing on the cake. Game reviews coming in the future for both Super Street Fighter IV and Pilot Wings, so stay tuned! ***This review was written with little to no sleep at 8am. I am not responsible for weird typos or incomplete thoughts. Wow! I missed the one year mark by more than a month? Phail! On February 8th, 2010, after some convincing by Clark Bunch, I started up this blog. My first year, I hit just about 35,000 views, which isn’t bad considering I was just writing what I wanted to write. Just today I hit 40,000 views, so I still got somewhat of an audience. Here’s for another fun year at Reflection of a Gamers Quintessential Being! Thanks for being a part of something that I’ve really enjoyed putting together and hopefully whoever is reading this will be reading this next year as well!